How do you know when you are ready to buy? Stay on the right track for a financial future that's bright. Dupaco's Bright Track provides you access to your credit score and tools to help you improve your score-accessible now within Shine Online Banking! Bright Track is available to you as a free benefit of your credit union membership. Coupled with Dupaco's other credit improvement tools like one-on-one Credit History Lessons and credit-building loans, you'll be able to lift your credit score and keep it there with Bright Track. 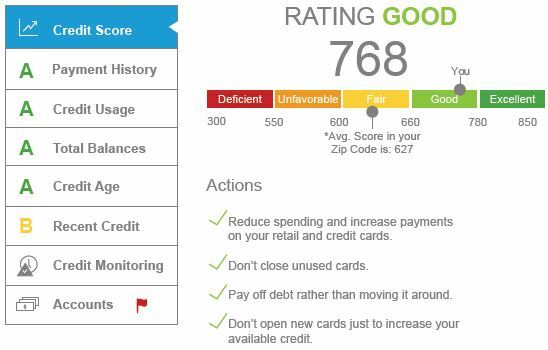 Along with your credit score, Bright Track provides you information on why your credit score falls where it does, and provides you practical ways to improve upon it. Bright Track assigns a letter grade to each of the five components that make up your score, and action items to help you understand what you should do to improve or maintain your score. Why does Dupaco offer this at no cost to members? As a not-for-profit financial cooperative, it's our goal to help you save more and pay less, and to see you achieve financial sustainability.